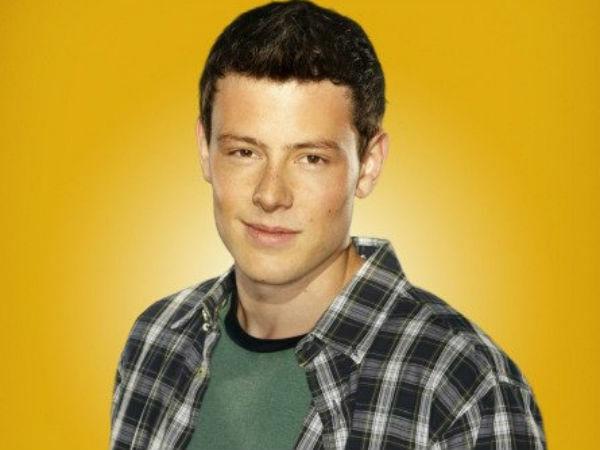 -In not unexpected but still heartbreaking news, the coroner’s report was just released in Cory Monteith‘s death. He died from a toxic mixture of heroin and alcohol. -More crappy news for the franchise: The Glee Project has been officially cancelled by Oxygen. -Now that Jenny McCarthy just landed a permanent seat at The View table, it’s a good time to remind ourselves that she’s batshit crazy. –Bryan Cranston got a star on the Hollywood Walk of Fame today. This photo of him with Aaron Paul kills me. -During a concert in Quebec, Stevie Wonder announced that he’ll be boycotting all states with “Stand Your Ground” laws in the aftermath of the Zimmerman verdict. –Leah Remini’s sister went on a radio show to spill secrets about the actress’ split from the “church” of Scientology. -Even Beyonce can’t resist Target’s bargains. -My neighbourhood is currently being overrun by Justin Timberlake fans hoping to spot a glimpse of him. It’s a whole lot of not fun. –Lindsay Lohan will reportedly snag $2 million from her reality show on Oprah’s network — and her mother is already trying to muscle in on the action. -The randomness of James Franco’s choices continues. He just signed on to guest on next season’s The Mindy Project. -This Jason Patric sperm case is the weirdest thing ever. When the Lost Boys actor broke up with his longterm girlfriend, he offered her his man juice instead of money. Now he’s fighting for parental rights. -Breaking news: Rihanna now has a grill. –Justin Bieber was photographed drinking a beer at a 4th of July party, which would seem a whole lot more badass if it weren’t for the Super Mario beach towels in the picture. –The Amazing Race Canada premiere was the highest rated debut of a Canadian series ever. I’ll be recapping the show every week for MSN. Check it out here. –Jennifer Garner is shilling for Max Mara now. If she doesn’t stop posing with bags in front of her stomach, these rumours are just going to get worse. –Shailene Woodley and Zoe Kravitz jump into action in this new Divergent photo. -In other YA movie news, here’s our first look at Enobaria in Catching Fire. –George Clooney looked to be in a good mood while promoting Nespresso in Paris. This is why I love France — there are Nespresso posters of him everywhere. I remember going to a cafe and ordering coffee by pointing at his photo. I’m pretty sure that’s what heaven looks like. –Bruce Willis tried to spoof Under The Dome on Letterman last night; failed miserably. –Modern Family‘s Sofia Vergara is still dating that guy no one likes. –Castle had to halt production today because star Nathan Fillion was a no-show over a contract dispute. It’s Captain Hammer! Pay him whatever the hell he wants! –Amber Heard was spotted in Japan with Johnny Depp and his kids. -I’m so glad that Orange Is the New Black is getting rave reviews. I’m in the middle of a binge and I love it! –Kristen Wiig impersonated Michael Jordan on Jimmy Fallon‘s show last night, and she nailed it. -Remember that biracial couple in the Cherrios commercial that everyone freaked out about? Check out kids’ reactions to it and watch your heart grow three sizes. -The trailer has landed for 12 Years A Slave from director Steve McQueen (Shame, Hunger).